I can go on and on about stuffed cabbage! This Jewish comfort food is gluten-free, nutritious, great for entertaining and kid friendly (see tip below). It can be served with rice, roasted potatoes or broth. Reserve the beef bones and about 1/4 cup sauce from linked recipe above. Put into pot with about 2 cups water and carrots. Simmer about one hour and cut carrots into chunks. 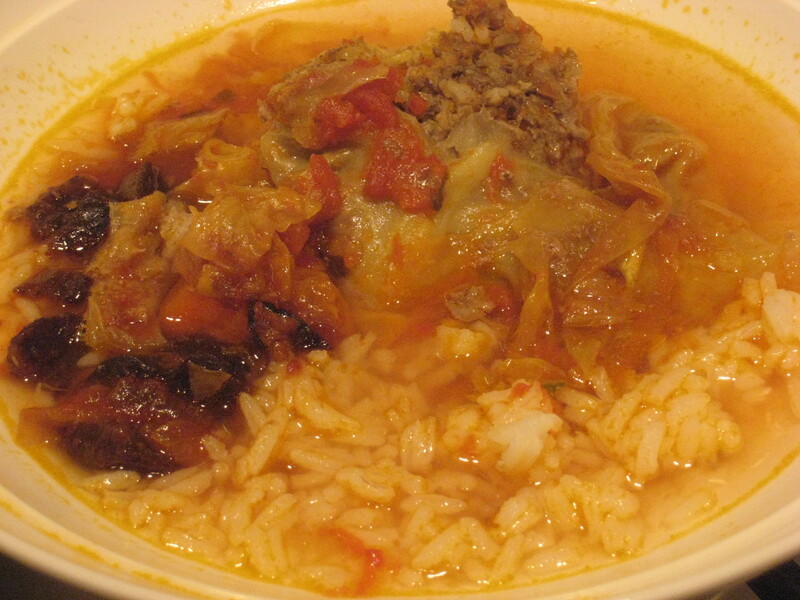 Serve stuffed cabbage in this broth with rice and carrots.